#BreakAadhaarChains is a campaign to stop the government from treating us like criminals out to loot the state. Today, Aadhaar is required for a host of services from birth certificates to death certificates, school admissions, scholarships, PDS rations, NREGA job cards, bank accounts, mobile services – the list is endless. We have let ourselves be stalked all our lives by the state as well as non- state actors – every movement, every choice, every decision, every mobile call, every rupee earned, every learning mistake however small, is exposed to surveillance. Even foreign companies with dubious origins have been contracted to ‘store, transfer and process’ our personal information. 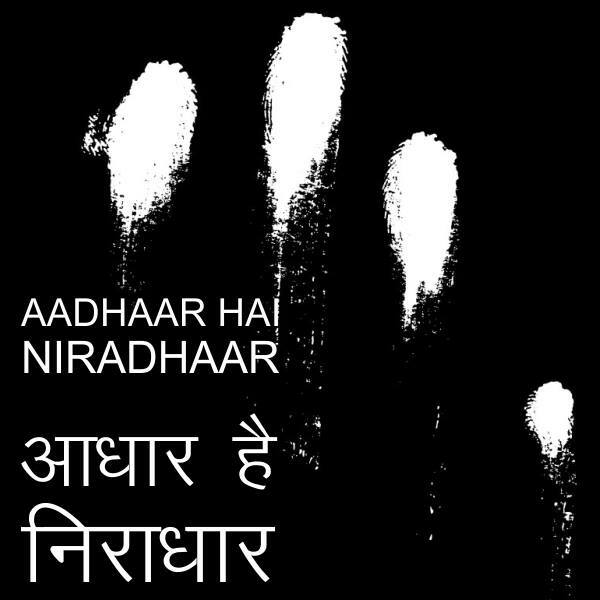 This expansion has happened despite the growing number of exclusions – people being denied welfare benefits, subsidies, or other services for want of an Aadhaar number – and data security breaches. Over 200 government websites have publicly “leaked” Aadhaar and related details, admin logins to the UIDAI official portal being sold at Rs. 500 – and the UIDAI files FIRs against those reporting such leaks rather than take action! Multiple scams have exposed how every facet of Aadhaar security, including biometrics, are prone to being hacked. Each time, the UIDAI has offered either cover-ups or a shifting of goalposts, as with the latest “Virtual IDs” which will require all existing Aadhaars to be revoked and reissued! Krishnakant Mane, founder of digitial freedom foundation and disability activists said, “My visual impairment is due to a faulty retina and hence I have been denied an Aadhaar card.” He said people with disabilities faced difficulties in obtaining an Aadhaar card. Welfare researcher Sakina Dhorajiwala narrated three cases from Jharkhand where people had starved to death as they were denied rations because their Aadhaar card was not linked to the Public Distribution System.